Featured blog #9 - Well, what can I say about the blogger behind this weeks featured blog. He just received a $15 paypal cash for winning the " Best Commenter " for FBW Logo Design contest. My blog was created for fun and not for profit. It was conceived to satisfy my inquisitive nature. It continued up to this day to challenge my quest for the very elusive answers. The intentions were to share current events and personal adventures. To vent out criticisms and frustrations against the government, society, my next door neighbors, my colleagues, and myself. To explore my impulsive creativity, or wander on my weaknesses and shortcomings as they unravel. To commend remarkable individuals or criticize those that does not conform to my standards. It’s actually a blog about the effects of the world on my everyday life, and how I perceive them. Destructive or constructive, it doesn’t matter. It’s a blog about my unique eccentric identity. It’s up to the readers to judge whether I am in crisis or in peace. It’s about me keeping in touch with realities and getting lost in my fantasies. I believe almost every personal blog out there is a continuous search of the bloggers’ identity and the acknowledgement and acceptance of society. My personality is a mix of all genres, with a penchant for the absurd and graphically pleasing. 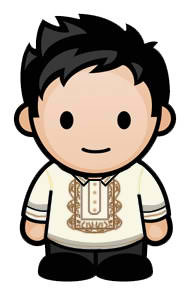 I’m a graduate of Electronics and Communications Engineering (ECE) from the Mapua Institute of Technology (MIT). Yes, I am an Engineer. I am one of the noble semi-skilled laborers that execute the vision of those who think and dream. I am one of the Oompa-Loompas of Science. However, I dwelt more in Information Technology in most of my existence. I became the IT professional who’s more into substance than structure, the gamer who never finishes a game because I often gets lost in the eye-candy, the frustrated musician who bought an organ and guitar but did not learn how to play it because I could play music better with a computer, and the sci-fi fanatic who would never miss pondering on the opportunity to train and experiment on people like lab rats. When I started this blog, my goal was just to react to the very controversial current events happening during that time: November 2011. The time the new Philippine government, headed by Noynoy Aquino, started running after – and eventually filed charges against the corrupt leaders of the former government of Gloria Macapagal Arroyo. It was pay-back time, and I wanted to be part of it, at least via online interaction. I started blogging when I found Facebook as just not appropriate or enough for the ideas and criticisms I wanted to share with people. Facebook can reach so many people but it’s difficult to scroll back and forth to past and present topics because of all the other wall posts and comments. The only inconvenient thing about a Wordpress blog is people could not easily “Like” because they still need to register a Wordpress account, which is quite a hassle if they are not bloggers. 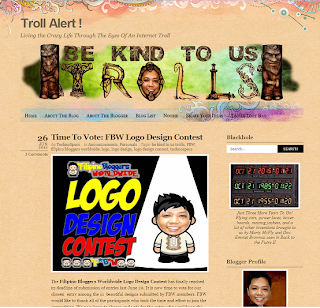 My favorite was one of the very first blog post that I did last November 2011. It was one of the highly read during that month that inspired me to be more creative and continue with my blogging until this day. I occasionally stop when I’m too busy at work, but I always try to find time at least every once in a month to post even a simple blog entry just to keep connected with the online world: Put The Little Girl To Sleep. Congrats Mr. Ross! I find his blog very interesting. Hey I love trolls! I remember the cute dolls with different colored hairs. It's nice to know that there are still personal bloggers out there... people who really take the time to share their thoughts and feelings no matter how trivial or different their views are from others. Keep it up be kind to us trolls! wow, that's a really nice name, now i remember i love to collect trolls before. So you do have a website.. i thought it's just a FB page! One of the coolest blog name I've ever heard. Cool and unique at the same time. I've not heard of this blog before, but the title is intriguing. Can't imagine being kind to trolls, haha! I'll check it out. i'll recommend this to my girlfriend. I want to see trolls!!! I'm sure they have great contents there. Nice blog name! Totally catchy. While some of my blogger friends moved on to Facebook (they find it more addicting, I guess) and subsequently ignored their blogs, this guy's different, deciding to express himself more with blogging. Facebook can be chaotic sometimes, especially if you have a thousand friends... one can get dizzy with all the updates from friends, and your wall posts tend to be lost in it. Congrats to the featured blogger for winning the Top Commenter prize. aww, cute name, congrats on winning! ah, i don't know how you bear writing about government. LOL. its too political. anyway, goodluck on future endeavours. :) long years of blogging. cheers! Very interesting blog name. Congratulations for the feature and will look into your blog now. Love the name of the blog. Funny and interesting! Some blogs are truly created for fun and not for profit. I remember my first blog about inspiring post then sooner I stepped in making some profit. I just went over the put the little girl to sleep post and he was really witty and good at writing. Hehehe... I enjoyed their blogname, too @markpogi. Very inviting, ika nga!LOL! Hello everyone! 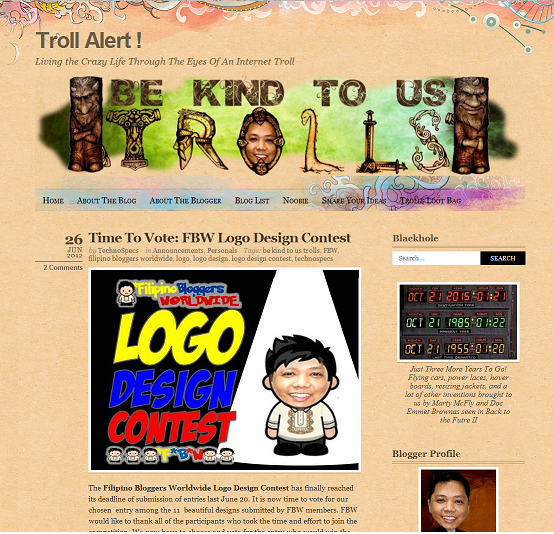 especially to all Filipino bloggers world wide. I would like to ask how can I able to reach the admin of this site because I want to be part of this blog. In addition I am also aiming to be a featured blogger like this one. I blog about OPM musics if you want to ask.